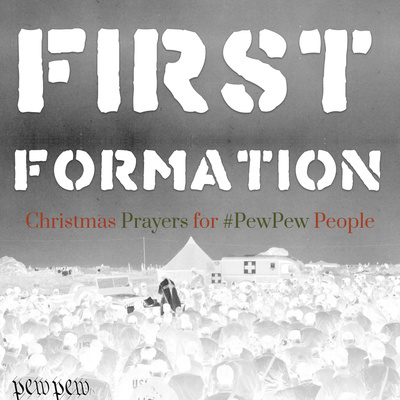 A Pew Pew HQ podcast that shares morning prayers for the humble, hardy folk caught in the crosshairs of God and country. Follow along with the Revised Common Lectionary for weekday readings to hear the good news through grunts and with grunts. 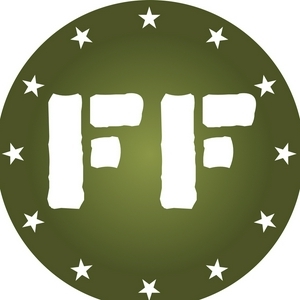 Fall in! A bonus episode describing the scriptural and liturgical elements of the high holy days of the Christian calendar. Psalm 74; Philippians 4:1-13; John 12:27-36. Psalm 94; Philippians 3:15-21; John 12:20-26. Psalm 69:1-23; Philippians 3:1-14; John 12:9-19. Psalm 31:9-16; Isaiah 54:9-10; Hebrews 2:10-18. Psalm 31:9-16; Isaiah 53:10-12; Hebrews 2:1-9. Psalm 20; Habakkuk 3:2-15; Luke 18:31-34. Psalm 20; Judges 9:7-15; 1 John 2:18-28. Psalm 20; Exodus 40:1-15; Hebrews 10:19-25. Psalm 126; Isaiah 43:8-15; Philippians 2:25-3:1. Psalm 126; Isaiah 43:1-7; Philippians 2:19-24. Martin Luther King Jr.
Psalm 53; 2 Kings 4:1-7; Luke 9:10-17. Psalm 53; Leviticus 25:1-19; Revelation 19:9-10. Psalm 53; Leviticus 23:26-41; Revelation 19:1-8. Psalm 32; Joshua 4:14-24; 2 Corinthians 5:6-15. Psalm 32; Joshua 4:1-13; 2 Corinthians 4:16-5:5. Psalm 39; Ezekiel 17:1-10; Romans 2:12-16. Psalm 39; Jeremiah 11:1-17; Romans 2:1-11. Psalm 63:1-8; Daniel 3:19-30; Revelation 2:8-11. Psalm 105:1-42; 2 Chronicles 20:1-22; Luke 13:22-31. Psalm 105:1-42; Numbers 14:10b-24; 1 Corinthians 10:1-13. Psalm 105:1-42; Exodus 33:1-6; Romans 4:1-12. Psalm 27; Genesis 14:17-24; Philippians 3:17-20. Psalm 27; Genesis 13:1-7, 14-18; Philippians 3:2-12. Psalm 17; Job 1:1-22; Luke 21:34-22:6. Psalm 17; Zechariah 3:1-10; 2 Peter 2:4-21. Maximilian of Tebessa. Psalm 17; 1 Chronicles 21:1-17; 1 John 2:1-6. Psalm 91:1-2, 9-16; Exodus 6:1-13; Acts 7:35-42. Psalm 91:1-2, 9-16; Exodus 5:10-23; Acts 7:30-34. Psalm 35:11-28; Ezekiel 1:1; 2:1; Acts 10:23b-33. Psalm 35:11-28; Exodus 35:1-29; Acts 10:9-23. Psalm 99; Deuteronomy 9:6-14; Acts 10:1-8. Psalm 99; Deuteronomy 9:1-5; Acts 3:11-16. Psalm 38; Leviticus 5:1-13; Luke 17:1-4. Psalm 38; 1 Samuel 24:1-22; 1 Corinthians 11:17-22, 27-33. Psalm 38; Genesis 33:1-17; 1 Corinthians 11:2-16. Psalm 37:1-11, 39-40; Genesis 44:1-17; 1 John 2:12-17. Psalm 37:1-11, 39-40; Genesis 43:16-34; Romans 8:1-11. Psalm 120; Jeremiah 22:11-17; Luke 11:37-52. Psalm 120; Ezra 1:1-11; 2 Corinthians 1:12-19. Psalm 120; 2 Kings 24:18-25:21; 1 Corinthians 15:20-34. Psalm 1; Jeremiah 13:20-27; 1 Peter 1:17-2:1. Psalm 1; Jeremiah 13:12-19; Acts 13:26-34. Psalm 115; Isaiah 8:1-15; Luke 5:27-32. 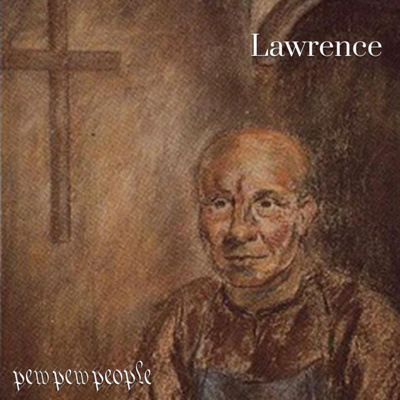 Brother Lawrence of the Resurrection. Psalm 115; 1 Samuel 9:15-10:1b; 1 Timothy 3:1-9. Psalm 115; Judges 5:1-11; 1 Corinthians 14:26-40. Psalm 138; Numbers 27:12-23; Acts 9:26-31. Psalm 138; Numbers 20:22-29; Acts 9:19b-25. Psalm 56; Jeremiah 1:11-19; Luke 19:41-44. Psalm 56; 2 Kings 5:1-14; 1 Corinthians 14:13-25. Psalm 56; 1 Kings 17:8-16; 1 Corinthians 2:6-16. Psalm 71:1-6; 2 Chronicles 35:20-27; Acts 19:1-10. Thursday, January 31, 2019: Psalm 71:1-6; 2 Chronicles 34:1-7; Acts 10:44-48. Why you should co-host morning prayers for #pewpew people. Psalm 119:89-96; Jeremiah 36:27-32; Luke 4:38-44. Psalm 119:89-96; Jeremiah 36:11-26; 2 Corinthians 7:2-12. 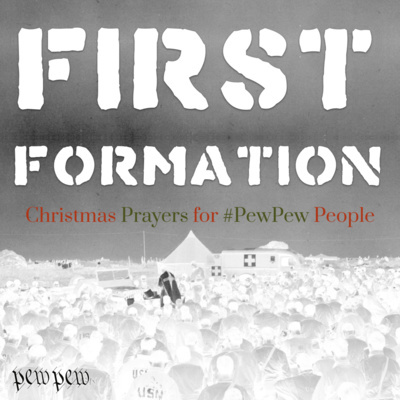 Fall In to First Formation by Pew Pew HQ! Psalm 119:89-96; Jeremiah 36:1-10; 1 Corinthians 14:1-12. Psalm 19; Nehemiah 2:1-10; Romans 12:1-8. Psalm 19; Isaiah 61:1-7; Romans 7:1-6. Psalm 145; Song of Solomon 4:9-5:1; Luke 5:33-39. Tuesday, January 22, 2019: Psalm 145; Song of Solomon 4:1-8; 1 Corinthians 1:3-17. 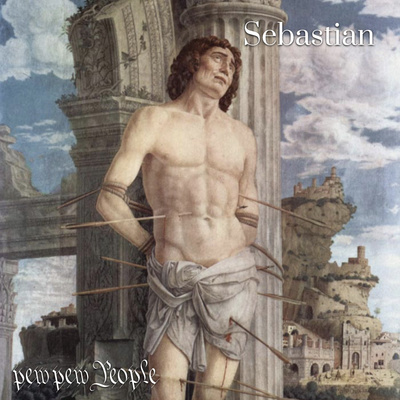 Sebastian of Milan. Psalm 145; Isaiah 54:1-8; Romans 12:9-21. Friday, January 18, 2019: Psalm 36:5-10; Jeremiah 3:19-25; 1 Corinthians 7:1-7. Monday, December 17, 2018: Isaiah 11:1-9; Numbers 16:1-19; Hebrews 13:7-17. Wednesday, January 16, 2019: Psalm 106:1-12; Numbers 27:1-11; Luke 11:33-36. Tuesday, January 15, 2019: Psalm 106:1-12; Judges 5:12-21; 1 John 5:13-21. Monday, January 14, 2019: Psalm 106:1-12; Judges 4:1-16; Ephesians 6:10-17. Friday, January 11, 2019: Psalm 29; Ecclesiastes 2:1-11; 1 Corinthians 2:1-10. Thursday, January 10, 2019: Psalm 29; Ecclesiastes 1:1-11; 1 Corinthians 1:18-31. Wednesday, January 9, 2019: Psalm 72; Numbers 24:15-19; Luke 1:67-79. Tuesday, January 8, 2019: Psalm 72; Daniel 2:24-49; Ephesians 5:15-20. Monday, January 7, 2019: Psalm 72; Daniel 2:1-19; Ephesians 4:17-5:1. Friday, January 4, 2019: Psalm 72; Isaiah 6:1-5; Acts 7:44-53. Thursday, January 3, 2019: Psalm 72; Job 42:10-17; Luke 8:16-21. Wednesday, January 2, 2019: Psalm 147:12-20; Proverbs 1:1-7; James 3:13-18. 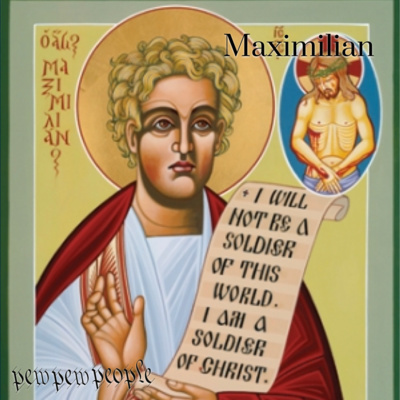 Tuesday, January 1, 2019: Psalm 8; Revelation 21:1-6; Matthew 25:31-46. Monday, December 31, 2018: Psalm 147:12-20; 1 Kings 3:5-14; John 8:12-19. Friday, December 28, 2018: Psalm 148; Isaiah 54:1-13; Revelation 21:1-7. Thursday, December 27, 2018: Psalm 148; Proverbs 8:32-36; John 21:19b-24. Wednesday, December 26, 2018: Psalm 148; 2 Chronicles 24:17-24; Acts 6:1-7; 7:51-60. Monday, December 24, 2018: Isaiah 9:2-7; Titus 2:11-14; Luke 2:1-20. Friday, December 21, 2018: Psalm 80:1-7; Isaiah 42:10-18; Hebrews 10:32-39. Thursday, December 20, 2018: Psalm 80:1-7; Jeremiah 31:31-34; Hebrews 10:10-18. Wednesday, December 19, 2018: Isaiah 11:1-9; Micah 4:8-13; Luke 7:31-35. Tuesday, December 18, 2018: Isaiah 11:1-9; Numbers 16:20-35; Acts 28:23-31. Friday, December 14, 2018: Isaiah 12:2-6; Amos 8:4-12; 2 Corinthians 9:1-15. Thursday, December 13, 2018: Isaiah 12:2-6; Amos 6:1-8; 2 Corinthians 8:1-15. Wednesday, December 12, 2018: Psalm 126; Isaiah 35:3-7; Luke 7:18-30. Tuesday, December 11, 2018: Psalm 126; Isaiah 19:18-25; 2 Peter 1:2-15. Monday, December 10, 2018: Psalm 126; Isaiah 40:1-11; Romans 8:22-25. Friday, December 7, 2018: Luke 1:68-79; Malachi 3:13-18; Philippians 1:18b-26. Thursday, December 6, 2018: Luke 1:68-79; Malachi 3:5-12; Philippians 1:12-18a. Wednesday, December 5, 2018: Psalm 90; Isaiah 1:24-31; Luke 11:29-32. Monday, December 3, 2018: Psalm 90; Numbers 17:1-11; 2 Peter 3:1-18. Here is a sample reading for interested Co-hosts. Everything you need to know about recording as a co-host. Why co-host morning prayers for pew pew people? 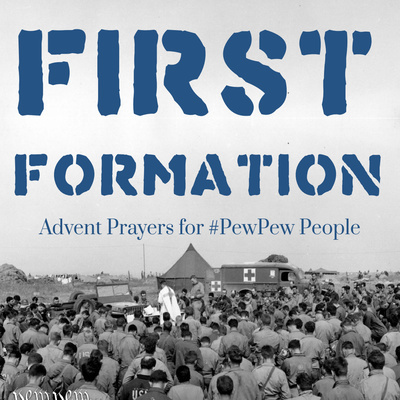 Three ways you can participate in morning prayers for pew pew people.